RSG Products Featured in our shoot: 120 Glitter Wrapping Stars - Silver, 120 Glitter Wrapping Stars - Gold, and the Set of 49 Multi-Coloured Mini Baubles. 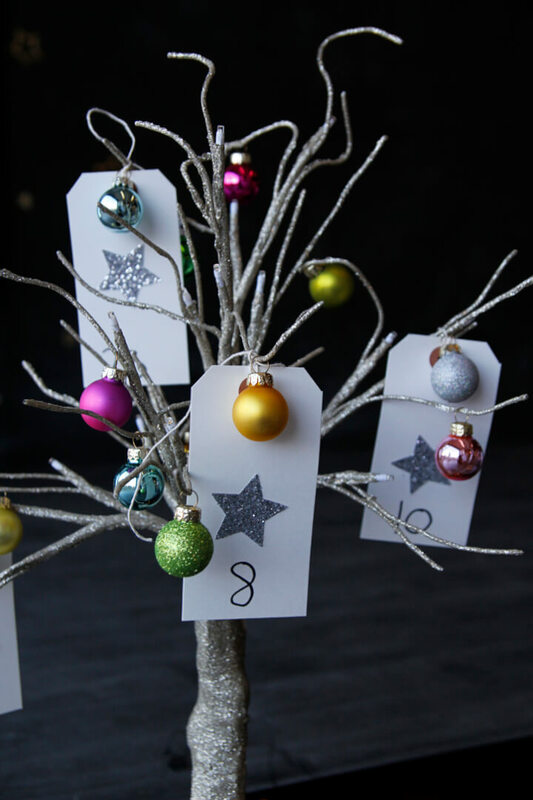 We love turning the ordinary into the extraordinary at RSG and creating a Ladder Advent Calendar does just this! The Ladder Advent Calendar creates a real impact and we love the idea of decorating furniture in your house to give it a Christmas facelift. 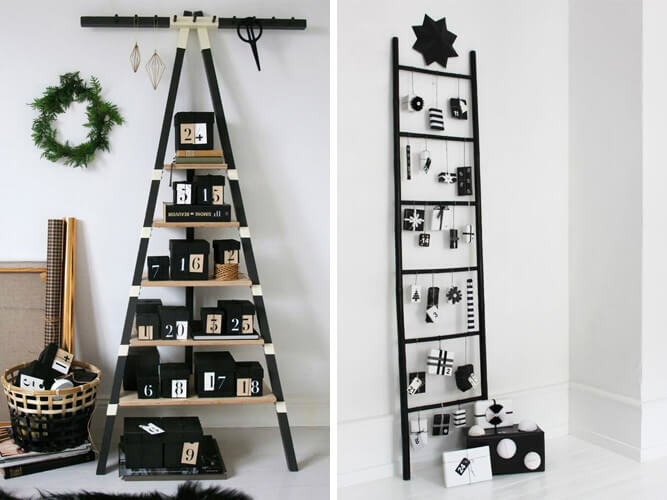 To create your very own Ladder Advent Calendar, why not use an old-style wooden ladder (raid your local flea market, reclamation yard or Ebay) and decorate it with Christmas ribbon, star stickers and fairy lights to make it look magical! Try hanging 24 Christmas Decorations from the ladder and each day you can add one more Christmas Decoration to your tree, or stick to 24 gifts to open each day. You can luxe it up as much as your budget will allow - we love the idea of unwrapping a charm each day with the bracelet to match arriving on Christmas day! (Hint Hint!). 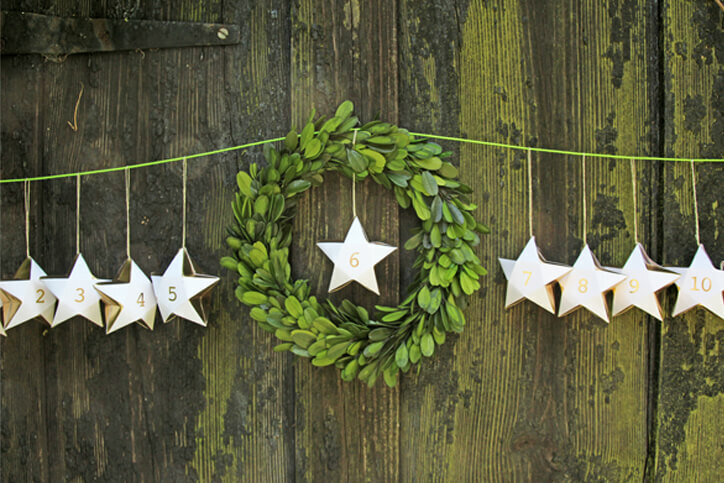 RSG Top Tip: Wrap fairy lights around your Ladder Advent Calendar to create a little Christmas sparkle. RSG Products Featured in our shoot: Set Of 49 Multi-Coloured Mini Baubles, 120 Glitter Wrapping Stars - Silver and the Little Champagne Glitter Light Tree. Tree Advent Calendars require time and a little Christmas creativity, but the outcome is well worth the effort. This is a great advent idea for kids to get involved with, especially if you are trying to avoid overloading them with chocolate right before Christmas. To create your very own Tree Advent Calendar you will need a tree (a house plant would work), gift boxes/bags, ribbon and plenty of glitter! Then get to work creating your little Christmas Gift boxes / bags. Gift boxes in the shape of a house, a number or a simple brown paper package would look fantastic and adds a little personality to your Tree Advent Calendar! RSG Products Featured: 120 Glitter Wrapping Stars - Silver, 24 Red & Green Star Treat Bags, Set of 20 Mini Baubles and the Birch Light Trees. 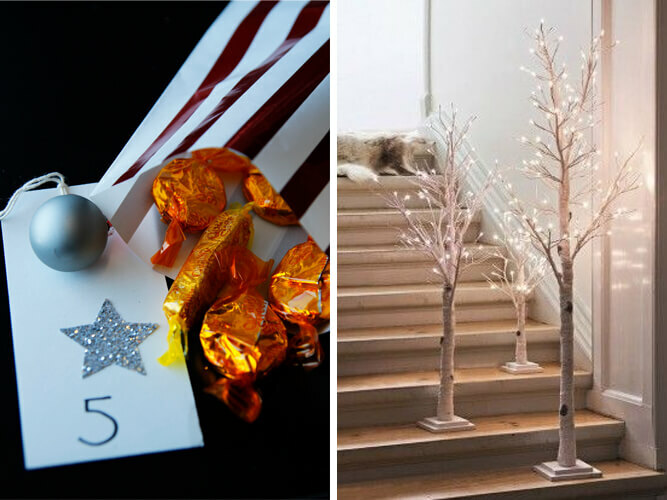 RSG Top Tip: We would recommend our Birch Light Trees, Light Up Snowy White Tree or the Rope Ladder Christmas Tree to create that extra WOW! RSG Products Featured in our shoot: Set of 20 Mini Baubles, 24 Red & Green Star Treat Bags, 120 Glitter Wrapping Stars in Gold and Silver. 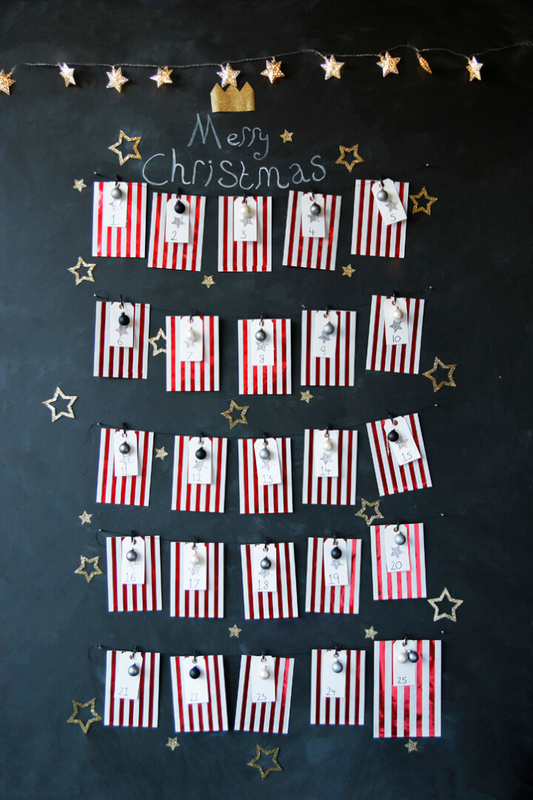 Easy, cheap and effortlessly chic, Chalkboard Advent calendars are a Rockett St George favourite! These simple advent calendars are really great if you want to create something a little different, but are strapped for time. 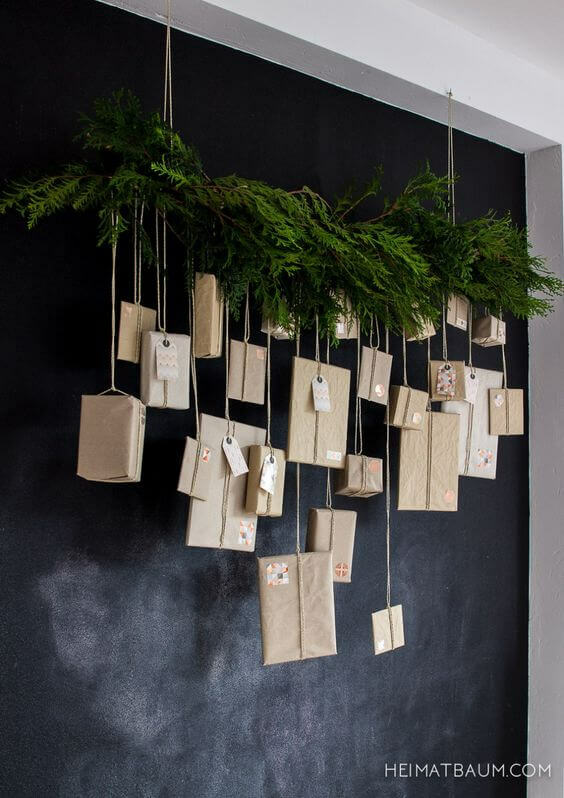 All you will need is a dark wall, ribbon, gift tags, mini pegs and a little gift or decoration for each day. 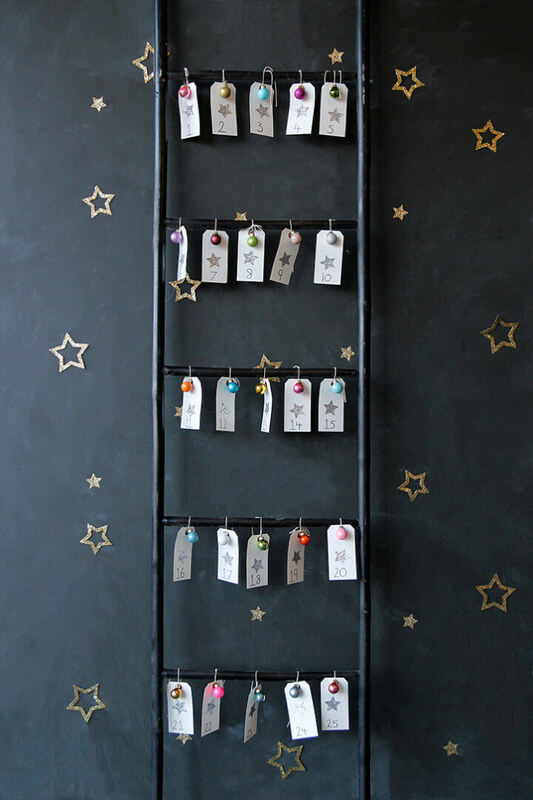 RSG Top Tip: Why not try hanging little love notes and a candy cane from the ribbon? A simple yet, thoughtful advent calendar for your loved one. 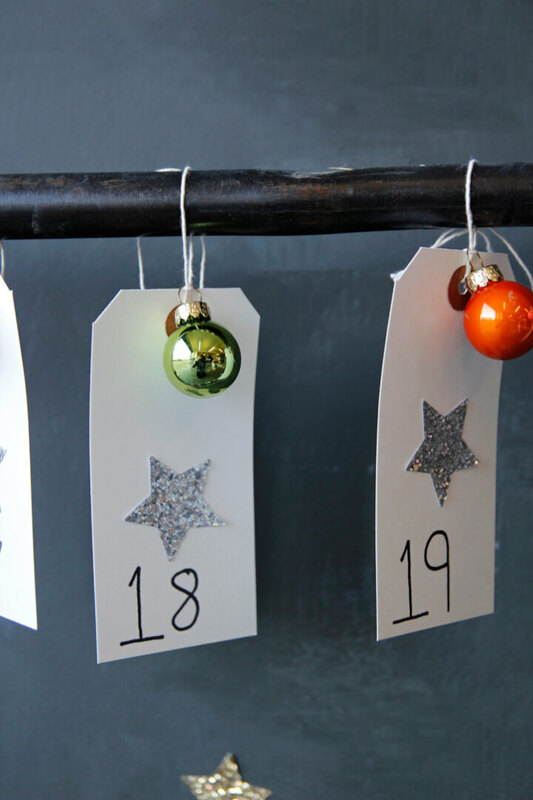 We love the simplicity of the Clothes Hanger Advent Calendar. It requires little preparation, but that's what makes it so genius! 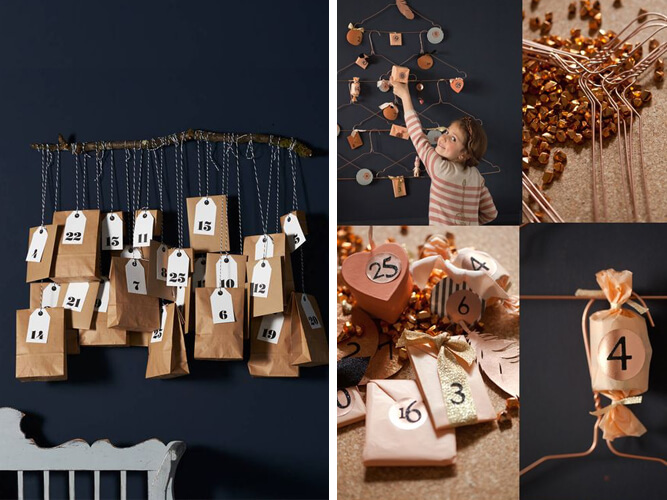 All you need is a clothes hanger, some string or yarn, some fabulous advent gifts and you've got yourself a delightful alternative advent calendar that will look incredible in your home. RSG Top Tip: Great advent gifts include, playing cards, Christmas decorations, gift cards, chocolate coins and stationary! 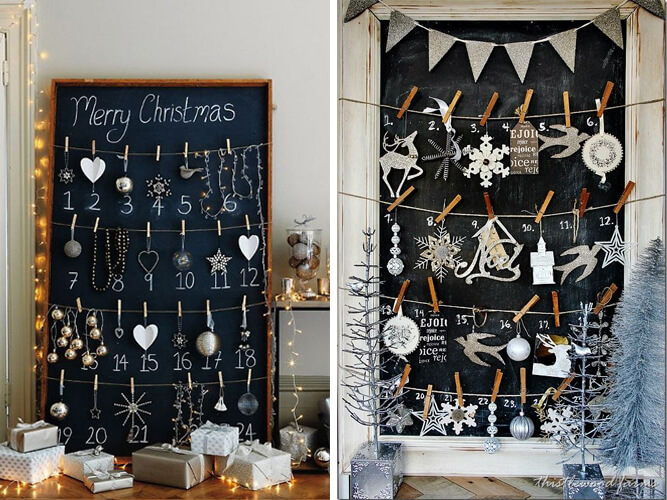 Instead of the traditional garland hanging from your staircase, why not make it into a life-size advent calendar?! 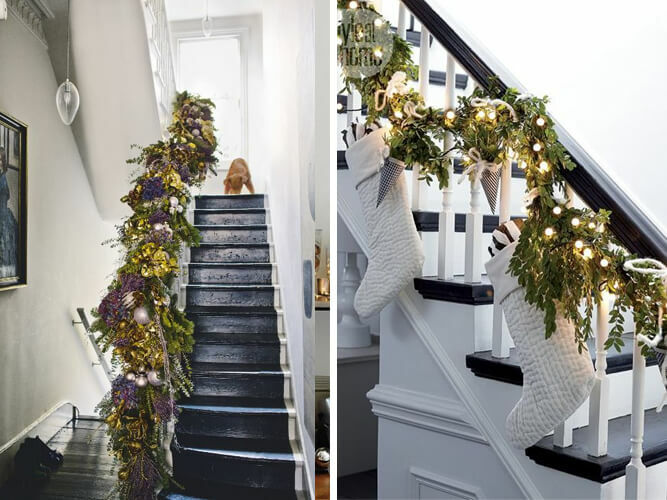 We really love the idea of hanging little presents over the bannister for each day of advent. 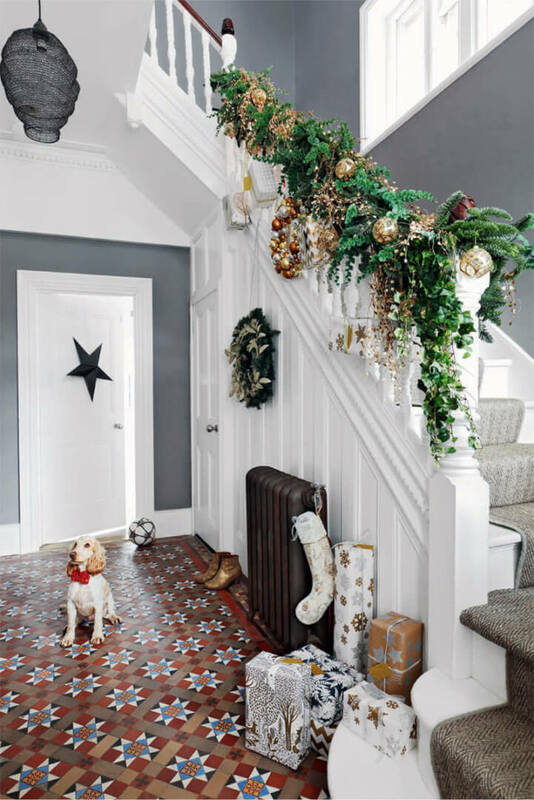 It's an advent calendar that the whole family can enjoy and has the power to transform your staircase into a winter wonderland. Pictured above is our co-founder Lucy St George's staircase, which she has loaded with mini gifts for her children to open each morning in the lead up to Christmas. RSG Top Tip: Why not hang little snowflakes decorations and Faux Pine Christmas Baubles in between each present? However you decide to decorate it, you'll be creating a one-of-a-kind advent calendar that is totally insta-worthy! The lead up to Christmas can be very hectic, so if you haven't got time to create your own advent calendar masterpiece, but still want to do it a little differently, then check out our alternative Christmas Calendars. Featured above is the Star Advent Calendar which you can personalise with sweets, little trinkets and stationary. 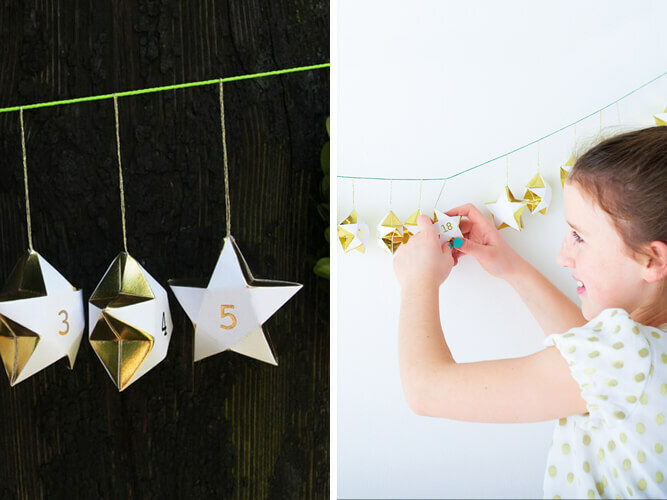 It's an easy way to create an alternative DIY Advent Calendar without all the hard work! 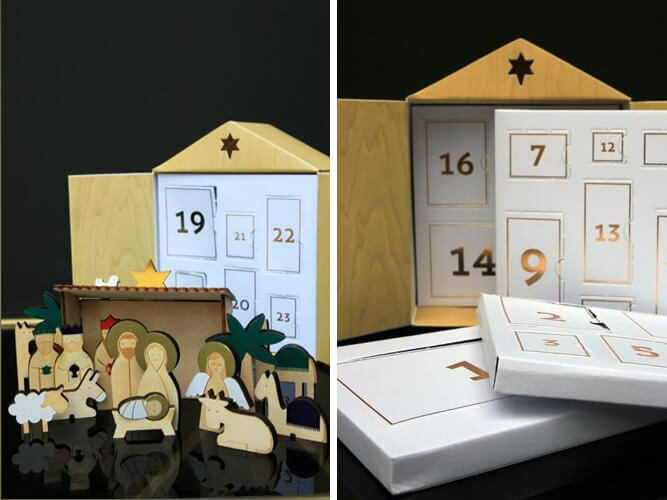 ...And if you're really strapped for time and fancy something ready-made but choc-free, why not display this beautiful Holy Night Wooden Nativity Advent Calendar around the home to achieve a unique twist?! 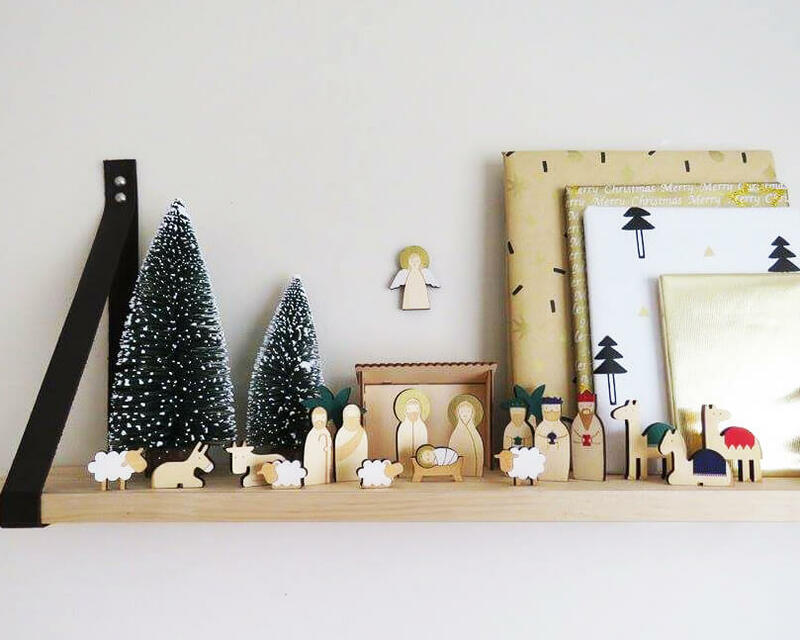 Day by day you can add to your nativity display and create a lovely scene to keep and bring out each year. This is also a great option for any families with young kids who are learning all about Christmas for the first time.